Radamel Falcao is a player that could have taken the Premier League by storm but for some reason, he did not. The Colombian was on loan at Manchester United and then Chelsea from AS Monaco but he just could not get it going in the Premier League. Falcao was one of the best strikers in the world before the 2014 World Cup but an injury caused him to miss almost the entire season and also the tournament. His time in England did not go all that great either as he only scored four goals for us but fortunately, he seems to have found his shooting boots again in Russia. The 32-year-old was a star for the South Americans in their clash against Poland and was one of the scorers in the 3-0 victory. It certainly was an emotional goal for El Tigre and a number of United fans were quick to share their reactions on the former Red. 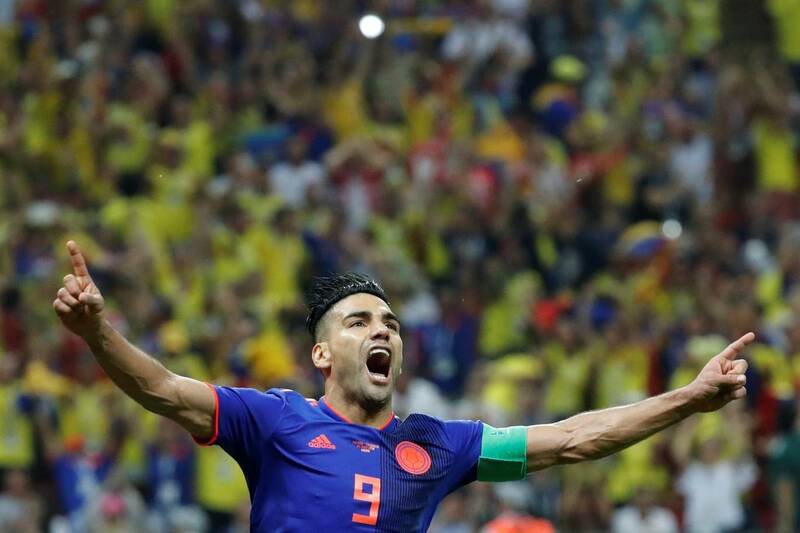 Also, I am very happy for Radamel Falcao. I know he had a rough time at Man United, but he missed 2014 World Cup, had two knee injuries and now he is back to his best, scoring at the 2018 World Cup. Great to see Falcao score at a World Cup. Wonderful striker and so much more than the player we saw struggling and short of fitness for Manchester United and Chelsea in the Premier League – when even then his attitude was outstanding. You can see the way Radamel Falcao finishes is of a man who really just knows how to finish. Not many easily finish like that. • misses 2014 WC with a bad injury when he was one of the best ST’s. • looked finished after two bad spells in England with United and Chelsea. • rediscovers his form to guide Monaco to a league title and CL SF. • scores for Colombia in the 2018 WC. I’ll always say it, United should have given Falcao another season.